The Little Quilts Book Tour Train rolls on... next stop Nedra at Cactus Needle! 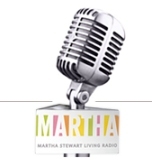 Nedra has a copy of the book to give away so pop over and see her. 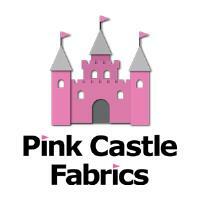 I in the mean time am picking out some fabrics for my swap partner.... what do you think Partner? 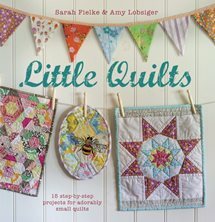 Little Quilts has been out there in the world for a few weeks now, and thank you to everyone for all the love it has been receiving!We thought it was time we threw it a little launch party, so here it goes. Owing to the fact that the Little Quilts journey began with Amy and I sending each other little quilts in the post, we thought that rather than ye olde blog touring around to hear what everyone has to say, we would have a little Swap of our own! So we got together some of our favourite quilty peeps to play along. 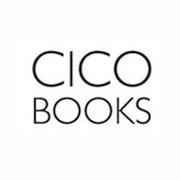 Each stop on the tour will have a copy of the book courtesy of Cico Books to give away, starting with Amy and I. To enter my giveaway you can leave a comment on this post telling me some of your favourite quilty peeps. Please leave a comment with information I can contact you with - if there are no contact details I will redraw. My contest is open until September 8 at 5pm Sydney time, and then Miss Pam Kitty's contest will open so don't despair if you don't win! There's always another chance. If you just cant wait to win I have the book and some associated templates for sale on my website so there's always that option! Now the peeps will be posting and chatting as they go along about what quilt they are making for their Mystery Someone, their colour choices, the pattern they picked and so on and so forth so make sure you check in and see what they're all up to! I've added everyone's Instagram tags to the blog post details below so you can have a peek at their IG feeds and see what they're doing there should you be so inclined. Or this could be an opportinity to remake my favourite quilt, Honeycomb. Maybe Polka Dot Baskets is more their style? Who knows! Here's a list of where to go and who to see. Have fun and don't forget to comment here to enter, and on Amy's blog too! I love it so much when people send me things they have made that were inspired by my patterns. I've been saving up a whole bunch I've been meaning to show you, so I'm going to release them all in a flood. My apologies if I have forgotten some of the names or gotten my tags mixed up! Deb Robertson from Christchurch has made a Coming Up Roses (Material Obsession Two) quilt to commerate the earthquakes in NZ last year. That's her little daughter there lying on the bottom so you can see how big it is! I'm ashamed to say I can't remember who sent me this little beauty - I have a feeling it belongs to Rita at Red Pepper, and I right Rita? 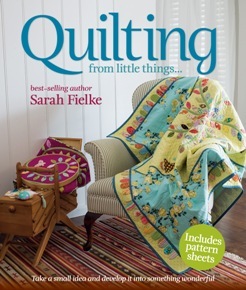 It's called Peaks and Troughs and it's from Quilting: From Little Things. Therese has been hard at work making my Flutter By quilt. And here's what Dorothy has been doing with the St Ives fabrics she won in my giveaway! And Linda's Sandwich Short of a Picnic! I can't wait to get back to classes this week and see what everyone else has been up to. What have you been making? So we are still wandering through the end of our renovation, having run out of cash but not ideas. I wanted a small cabinet for the boys bathroom - it's not a big room and there is only one small over the sink cabinet for keeping everything in. Budget being $0, when I drove past an side table by the side of the road a few weeks ago, I thought, why not? Then I Mod Podged some Anna Maria Horner fabric onto the drawers, added some shiny silver handles and voila! New furniture. Next I'm tackling our TV cabinet, which is looking a bit old and sad, and two footstools.... I'll keep you updated. This one is for The Night Garden - it teaches you step-down piecing, and this one is for Whirligig, which teaches you Appliquing with Bias Strips. All the chapters in the book are available this way. Cool huh? Well there's an unwieldy blog title if ever I saw one. There were more than a few cool things I had to tell you though, and it seemed appropriate. 2012 is shaping up to be an exciting year in more ways than one - and I'm starting off with a bang. These amazing blocks were made by all of YOU, isn't that incredible? Yep, these are some of the blocks you all made for Amy and Anabel. For those of you who didn't participate, the blocks are supposed to look like the bass lines on a stereo, to commemerate Amy's late husband Dan. There's something about seeing all these blocks together and thinking of all the people out there caring about Amy that brings tears to my eyes every time I look at them. You are all so generous of spirit and wonderful. These blocks are for Anabel's quilt, they are light and fresh and pretty just like she is. I know this quilt looks huger than king single, but it isn't, it just looks that way on the design wall. Would you believe, I had just enough blocks to make the two quilts, with two spare? I think that's amazing, serendipity. I am now looking for someone in Australia who would be willing to donate the machine quilting one one or both of the quilts.. please contact me if you can help. For the last few weeks I have been head down, bum up working on this. What was going to be a quick, fun project for an upcoming issue of Quilters Companion turned into a bit of an epic.... I just fell in love with the fabrics (they are all 100% Italian cotton shirtings) and decided to hand quilt it to within an inch of it's life. Thought you may like to see my able bodied helpers. Here's Damo the Sherpa holding one corner, Charlie fled in horror from the other end at the suggestion he might be on the blog again. Sorry dude. A fewo other cool things to direct your attention to - the Made in Cherry Quilt Along. Chelsea at Pins and Bobbins is running this using my free pattern for the St Ives collection I did this year for Lecien. You can get all the details at her blog. Due to popular demand, I have some more kits for the quilts (which you can see at Chelsea's blog too) on my website for sale using all the original fabrics. The kits are $180 AUS and contain all the fabric for the 80" square top, and the binding. You don't have to use my fabric for the quilt along of course, but if you want to you can - and I am also happy to work up kits in the alternative sizes Chelsea provides in St Ives as well. 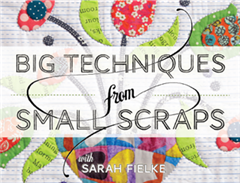 Just drop me an email to sarah@sarahfielke.com. 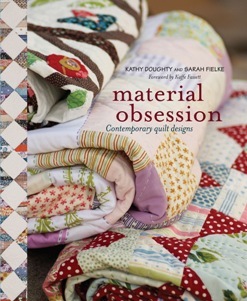 Also on the website at present are new patterns available in PDF or hard copy, notions including my applique kits and templates for quilts in Material Obsession Two, Quilting: From Little Things and for my Bangles quilt (in this month's Get Creative magazine), my books and also my applique DVD. If you can't find something you're looking for, just shout! Recently updated (like, today) you will find in the sidebar my dates for teaching this year... and in the next few years too. I will update this as often as possible. If you would like more info on any of the classes, please let me know. I'm so looking forward to going to all the amazing places I've been invited, as well as getting back to normal teaching at Cottage Quiltworks in Mona Vale and Calico and Ivy in Balmain. There are currently places available at both shops for the term - and also a few spots left for a one off class at Quiltsmith in Annandale on January 23rd. Please let me know asap if you are interested! Quilting Daily has put out a free downloadable quilt block book, featuring 6 different quilts previously published in their magazines... and one of them is my A Dotty Garden quilt. Want to make it? Hop over to Quilting Daily for the pattern. Surely that's all the cool stuff for now? I'd better hold some back so I can blog it later in the week, in case I run out :) I'm off to the studio to stitch some more of those beautiful blocks together. Adios! PS. One more, cool and awesome, fun thing. Amy and I are launching our new 2012 project soon - nope, not Dolly Quilts this year, a BOM instead. Stay tuned!!! 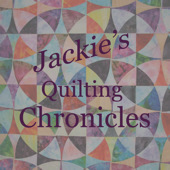 Have you seen the latest Dollies Online quilt? It's called My Ties and was designed by the amazing Mrs Schmenkman herself. Wow, I've been innundated with quilt pics from all over the place over the last few weeks. I've been meaning to share and something else always pops up... so finally here they all are together! Paula made my Colour Me Happy dolly quilt. This quilt is an excercise in colour control, and a fantastic way to work out what's in your stash - what you buy, what you don't buy, and gaps you could fill. The pattern, with a little mini lesson, is available from my webshop. Therese made this version of my Flutter By quilt. 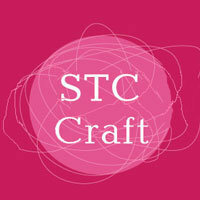 This was in Quilters Companion some time ago, and is about to be released as a new pattern in my pattern range shortly. Therese used Bliss by Bonnie and Camille for her fabric. Christine has made a wonderful version of Charlotte Sometimes! I love her choice of colours. 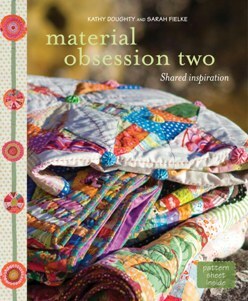 The pattern for Charlotte Sometimes is in Material Obsession Two. Alison as been busy quickly and made her very own Night Garden from the new book. She's done such a beautiful job. There are loads of versions of this quilt cropping up all over the place, I love seeing them! Don't forget if you want to try this quilt I have a template set to make the blocks that makes it all much easier. Gorgeous! My lovely friend Erica has been helping me out getting ready for Houston by making this version of A Sandwich Short of a Picnic from Quilting: from little things, using my new fabric range, St Ives. Hasn't she done a beautiful job?? I just love the combo of that green Alexander Henry background fabric with St Ives, it looks so fresh. 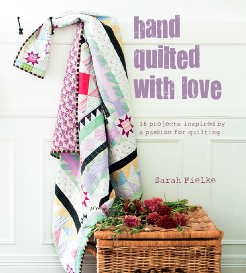 I will be doing kits for this quilt after Market - if you want to get in early and pre-order one, let me know! I had the most lovely weekend! On Friday afternoon we piled the boys and their friend Jillie into the car and went down the south coast to Milton so I could teach for Val at My Patch Fabric. Despite the weather being horrid on Friday, Saturday morning dawned clear and while I headed off for my class, the kids were able to go to the beach all day! Val had set the hall up so beautifully, everything looked lovely and inviting. Due to a few students who were ill we ended up a small class, but that was great - everyone got so much done and I was able to make sure they all learned everything they wanted to learn, including some hand quilting at the end. Dianne wanted to learn wonky piecing, and she mastered her little log cabins from The Woodpile so quickly that we learned the wonky stars from Dandelions too! Kerrie powered through her Diamond Chips quilt! As a beginner who has never done triangles before, she did a fantastic job. After a wonderful day of teaching and lunch and chocolate cake and show and tell, I headed back to the beach with the kids and Damo for a game of rugby. The light was so beautiful on the beach that I took a million pictures. Charlie and Jillie versus Dad and Oscar - a hotly contested game, with Mum and the dog as commentators. The score was level until Dad (who played rugby for the State in his day) took off to score the winning try. As you can see, he was very humble about it. Everyone was hot, but after the kids saw a fin in the water (debatable as to wether it was a shark or a dolphin), they weren't so keen on going in! Perhaps a walk on the rocks instead. Just when you think your hubbby forgot. He always comes through in the end. They're field roses, aren't they devine? They smell wonderful. Speaking of Valentines, here's this month's Dollies Online quilt. It's called Hugs and Kisses. It combines reverse applique and the Windmill block. If you want to make it and other cuties like it, you should join up to the Dollies Online club I run with my friend and quilt sistah Amy! And while you're over looking at Amy's blog, you can see what beauty she is making from my fabric range, From Little Things. Come on, you know you want to.